البرنامج للموسیقی والرقصه العربیمجاناً للتحمیلthis Arabic musicalinstrument is the only Arabic musical instrument app that has up to24 Arabic rhythm styles with 4 minor and major accords with specialnote tunes for Arabic musicthis app simulate the Qanon , Oud andspecial Arabic style strings that you haven't seen everyou willlove it just see the video and then download itthe most importantfeatures that made this application special are :1 - up to 24Arabic rhythm styles2 - 4 major and minor accords that are used inthis type of music3 - 2 different tunes with special quarter flattunes4 - 3 Arabic instruments with real sound of Qanon , Oud ,strings5 - transpose ability from -20 to +20 percent 6 - volumesmix ability for accords , rhythms and instruments7 - up to 8different pad sounds such as laugh , applause , ...8 - 2 Octaves9 -pitch and vibration with moving finger on wires10 - easy using andsimple menus for every one even if don't know any thing aboutmusicsplease just take a look to this Arabic musical instrumentapplication video , The App is free to download . what are youwaiting for ?? Arabic Songs & Music 2018 - app comes with the finestcollection of New, Top, Popular, Old, Hit, Latest, Best Arabicmusic videos. MUSIC VIDEO CATEGORIES : New Arabic Songs, ArabicVideo Songs, Famous Islamic Songs, OLD Arabic Songs, Arabic TurkishMusic, Eid Songs 2018, Arabic Gospel Songs, Holy Quran Songs, BestArabic Songs, Arabic Love Songs, Elissa Arabic Music, Amar DiabSongs, Arabic Music Videos, Modern Arabic Music, Asmahan Songs,Beautiful Islamic Songs, Arabic Quran Songs, Arabic Pop Music,Aziza Jalal Mestaniyak, Top Arabic Songs, Islamic Arabic Songs,Fairouz Arabic Songs, Arabic Quran Songs, Arabic Qawwali Songs,Haifa Wehbe Songs, Arabic Music Hits, Lebanese Songs, Arabic RapSongs, Arabic Traditional Music, Arabic Singers Songs, Arabic PopMusic, Maher Zain Songs, Kazem Al Saher Songs, Najwa Karam Songs,Arabic Alphabet Songs, Arabic House Music, Nancy Ajram Songs,Arabic Bollywood Songs, Arabic EDM Songs, Nawal Al Zoghbi Songs,Arabic Songs, Arabic Cartoon Songs, Umm Kulthum Songs, SaadLamjarred Songs, Greek music video, Arabic Ghazal Songs, ArabicEgyptian Songs, Arabic Karaoke Songs, Sabah Fakhri Songs, KuwaitSongs, Samira Said Songs, Yanni Arabic Music, Arabic Lullaby Songs,Arabic Violin Music, Arabic Nursery Rhymes, Arabic Melody Songs,Zumba Arabic Music, Wadih El Safi Songs, Samira Tewfik Songs, WardaArabic Songs and many more arabic songs presents in this app.Listen to top arabic video songs from your phone anywhere andanytime. Play music with largest and bestever collection of Arbisongs from arabic singers. This app is one of the best countrymusic video player, play your favorite country music genre, jazz,rock, hip pop, raggae, electronic, classical and so on. APPFEATURES : + Watch latest arabic video songs + Get notification onaddition of new arabic videos + Quick access of arabic music online+ Daily updated arabic music videos + Listen to top arab songsonline + Easily manage your favorite video songs + Play musicvideos in arabic language Disclaimer : The content provided in thisapp are available in public domain. We do not upload any videos ornot showing any modified content. Youtube channel owners are theoriginal owner. All content is copyrighted by they respectiveowners. This app provides organized way to select songs and watchvideos. """In the name of God the MercifulPeace, mercy and blessings ofGodYour brothers in God is pleased to present to youPolyphonictones Maher Zainsongs-----------------------------------Applicationfeatures:-thamil File and listen to the existence of an InternetconnectionThe possibility of the development of any file as analarm tone and alarm tone and ring toneThe possibility to sharefiles via Bluetooth, email or whatsapp and facebook .........Thepossibility of hearing the voice in the background of files andwork on the machine at the same time. """ Refresh your Smartphone with some Best Islamic Ringtones and enjoylistening to religious melodies whenever you device rings. This isthe Best Arabic Music and Muslim Sounds Collection for AndroidPhones that you will love. 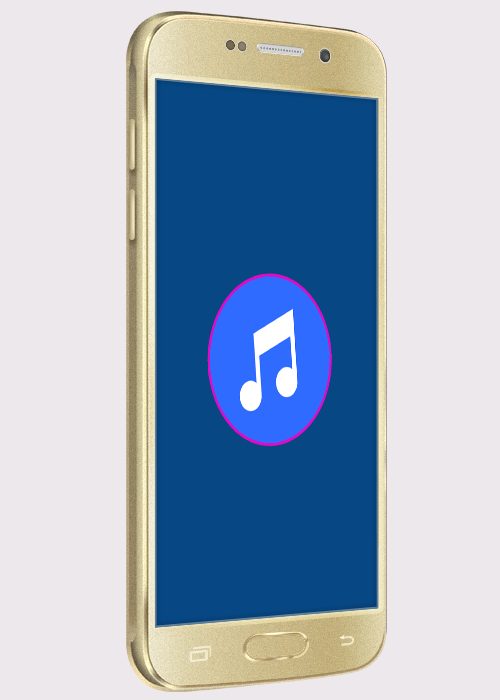 Download it for free, choose yourfavorites and set your new default ringtone now ! Best IslamicRingtones app features : Intuitive app interface . Original Muslimand Arabic music . Cool ringtones, sms notification sounds, alarm,and reminder alerts High quality mp3 sounds for Android Phones.Choose a category and discover the best ringtones . Easy to use :tap once for sound preview and hold to set your ringtone . Shareyour ringtones on Facebook, Instagram, and Twitter . Best religiousringtones ! This collection of melodious ringing tones makes youfeel relaxed and it soothes your sense. Refresh your mood dailywith the most wonderful ringtones ever. Select your defaultringtone, caller ID tones, SMS notification sounds, alarm clocksound, reminder alert, and more. These relaxing Islamic tunes arecarefully selected to praise the greatness of Allah and ProphetMuhammad. Download Best Islamic Ringtones now for free and enjoythese lovely prayer ringtones .